RDF uses a holistic education model that focuses on academic inputs and activities simultaneously in order build character and confidence among the students. Kalleda School has adopted ‘Grow by Reading’, a library and reading program that focuses on building reading skills among children. Teachers also contribute towards the growth of individual learning levels of the student. RDF’s small class sizes allow teachers to give individual attention to students who need more help. The improved skills empower the students to fare better academically too. RDF’s schools are grooming students for leadership roles: those who master concepts quickly are given opportunities to be student teachers. 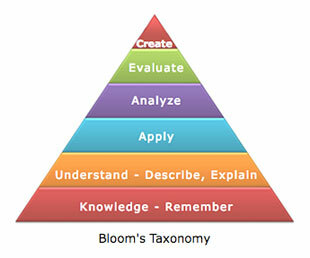 Students move up the ‘basic knowledge and understanding’ to apply, analyse, evaluate and create. Examples include Science experiments, creative arts projects and peer and teacher evaluations. RDF focuses intensively on teacher and student training. Teachers routinely undergo training in specific subjects or general capacity building programs. Education coordinators and volunteers provide training and observe teachers closely in order to determine the efficacy of training initiatives as well as to provide a constant feedback on teaching-learning practices. Students undergo English and Communication skills training periodically. In its pursuit of offering holistic education, RDF weans away from focusing only on academic results and encourages students to reach their potential and follow their passions. In its pursuit of offering holistic education, RDF weans away from focusing on academic results only and encourages students to reach their potential and follow their passions.